Please allow me to briefly mention the story of how I joined Ideas2life and found myself being tied, for the years to come, with the team. 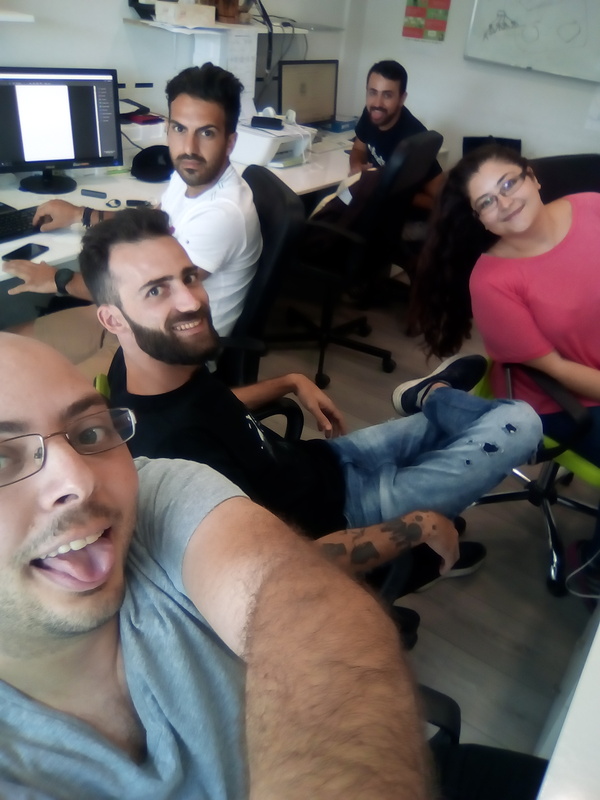 Some months ago I was in search of a new job for numerous reasons, one of them was the fact that it felt the proper time to join a team with people that were mind alike. I wasn’t in a rush in order to start throwing CV’s towards multiple companies that were in search of someone like me, so I sat down and wrote a short biography about me in the form of a CV (which looked nothing like a CV on that piece of paper). I only read it to my girlfriend, who obviously did not approve and kindly replied “I couldn’t expect anything less from you, so go ahead, you know better”. That short biography I wrote, from my perspective, was holding a WIN or GTFO response. It held the proper amount of self-esteem, humor, intelligence, a very-very brief summary of what I have done in the past on my field along with the most critical part that all of you should answer in your resume, why they should choose me over the other numerous candidates. To be honest, I only sent that biography to Ideas2life -they seemed to be the proper team to join- and today I can gladly say that i took the right decision. Now back to our topic about how working here is a disease. We all pretty much, at the early stages of our lives, formulate an image of how our future will look like in 10 or maybe 15 years. I’m pretty sure we were all imagining a bright future in our minds when we went to the finest universities, colleges or to our first jobs. A bright future that was decaying day by day as we were getting more pragmatic than before. But we were mature, all of us, and dealt with it. We adapted to how things are now, I mean we have to survive somehow right ? We stopped chasing the ideal, forgetting about how we were once upon a time incompatible with anything that wouldn’t fit our standards to the maximum. And that’s where Ideas2life intervenes. The Ideas2life team is surrounded by a strong culture, a culture that motivates and values human beings individually as a consequence of unlocking your full potential, it literally feels like the home you decided to be a part of. Sooner or later you will realize that you are a part of that culture and you will struggle to make it stronger. Here you will have a chance to have an impact to the outside world, we believe we are successful in what we do but yet we, daily, dig up the pile of the improvements we lack. You will be heard and hear from people whose opinion matters, yours matters too ! And that my friend is, frankly, a disease. You will never again imagine working somewhere else, or at least even trying to. I remember our last recruitment on the sales department on his first day at work he said on our daily meeting “I’m very glad to be a part of this team. I never thought this kind of workplace would exist. I always thought i would join a big (in terms of km²) company, wearing a costume.” It came in contrast with what he knew and believed so far. Without your will, you will become institutionalized in what so far you thought unreal, to be amongst a bunch of like minded people, that feels just right. A bunch of misfits, that on a first glance look like a dysfunctional family yet they yield great results that all of us are proud of. We also have a lot of great values which are our key in having such a great culture.